Corfu (Greek: Κέρκυρα, Kérkyra, Ancient Greek: Κέρκυρα or Κόρκυρα; Latin: Corcyra; Italian: Corfù) is a Greek island in the Ionian Sea. It is the second largest of the Ionian Islands. Its northern part lies off the coast of Sarandë, Albania, from which it is separated by straits varying in breadth from 3 to 23 km (2 to 15 mi), including one near ancient Butrint, while its southern part lies off the coast of Thesprotia, Greece. The island is part of the Corfu Prefecture and includes twelve of the sixteen municipalities or communes in the prefecture and communities of Ereikoussa, Mathraki, Othonoi, and Municipality of Paxoi, which are all separate islands. The principal town (pop. 28,185) of the island is also named Corfu, or Kérkyra in Greek, as is its municipality (pop. 39,487). Corfu is home to the Ionian University. The island is connected to the history of Greece from the beginning of Greek mythology. Its Greek name, Kerkyra or Korkyra, is related to two powerful water symbols: Poseidon, god of the sea, and Asopos, an important Greek mainland river. According to myth, Poseidon fell in love with the beautiful nymph Korkyra, daughter of Asopus and river nymph Metope, and abducted her, as was the custom among gods of the era's myths. Zeus was a serial offender. Poseidon brought Metope to the hitherto unnamed island and, in marital bliss, offered her name to the place: Korkyra, which gradually evolved to Kerkyra (Doric). Together, they had a child they called Phaiax, after whom the inhabitants of the island were named: Phaiakes. This term was transliterated via Latin to Phaeacians. The island's history is laden with battles and conquests, indicative of Corfu's turbulent position in a historical vortex lasting until the modern period. Unification with modern Greece from 1864 made the island's history one with that of the mainland, with no further foreign intervention. The legacy of these struggles is visible in the form of castles punctuating strategic locations across the island. Two of these castles enclose its capital, which is the only city in Greece to be surrounded in such a way. As a result, Corfu's capital has been officially declared a Kastropolis (Castle city) by the Greek Government. In 2007, the city's old town was designated for the UNESCO World Heritage List, following a recommendation by ICOMOS. The town of Corfu (Kerkyra) impresses and charms the visitor with its two forts, narrow streets, tall houses, arcades, Venetian-built Town Hall, church to Saint Spyridon, the corfu island's patron saint, flower-filled gardens, and balconies with their superb wrought-iron fences. Flooded with sights, Corfu is a small paradise on Earth. From Paleokastritsa to Kanoni, from the Achillion to Pontikonissi and the Corfu's northern coast, one will find crystal water scenic coves greenery and vegetation that 'sinks' into the deep blue sea. On Corfu island it is easy to combine relaxation with intense night life. It is the island of miracles and wonders, where every moment the scene changes without affecting the harmony of the terrain.Having decided to visit Corfu Greece, one of the most interesting islands of the Ionian sea, prepare yourself for an unparalleled experience. An amalgam of natural beauties, traditional features and archaeological sites. Corfu island lies to the north of the Ionian sea at the entrance of Adriatic. The most green of the Greek islands, Corfu , has three million olive trees. As well as flower-strewn countryside and Adriatic-style villages, it has splendid coastal scenery and some excellent secluded beaches. On this cosmopolitan island, you’ll be able to combine relaxation with good times and a full nightlife, for corfu is an international tourist centre which can satisfy the demands of the most difficult visitors. Compare car hire offers the quickest and easiest way to search and compare the best car hire prices and deals available. 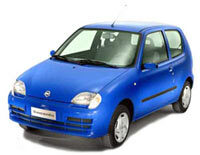 Whether its budget car hire or sports car hire, we will find it for you. We are your best source for economy and reliable car hire in Corfu, featuring a well appointed fleet of new and quality vehicles. We offer great rates on great cars. Whether you need them to go around the town or you plan a trip around the Corfu island, we can provide you with a car that meets your needs and requirements. Cars can be delivered everywhere on Corfu island, your hotel and at Corfu airport. 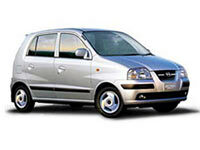 Click below an check Corfu car hire prices now!